Tuesday 14th May is all about the girls and Wincanton Racecourse looks set to be buzzing when hundreds of ladies making their annual pilgrimage to celebrate Somerset's biggest and most social gathering of the season. Access to Wincanton Racecourse on the Ladies Day starts from £12.00 and race-goers will enjoy six races and the chance to enter the fashion awards run in association with Clarks Village and top milliner Cozmo Jenks. Great prizes are up for grabs that includes an array of merchandise for the Best Dressed Lady, a bespoke trilby and a feast of goodies for all participants. Racegoers can enhance their special day with lunch in the Kingwell Restaurant. Cozmo Jenks, together with Channel 4 Racing presenter Alice Plunkett, with the support of a local hair salon, will provide visual demonstrations of stunning hats and appropriate hair styles to diners. Clarks Village Personal Shopper will also be on hand to provide fashion advice. Kingwell Restaurant guests will also be treated to complimentary gelish manicures throughout the day courtesy of Holbrook House therapists, a glass of champagne on arrival, two-course set meal with afternoon cream tea, race card and premier entry for £55 per person (or £500 for a table of ten). To book call 0844 579 3014 or visit www.wincantonracecourse.co.uk. "Ladies Day is such a special occasion and we are thrilled to be working with Clarks Village, Cozmo Jenks and other local organisations. Our race day offers outstanding value for money and we look forward to ending our season in full style and glamour." Ladies Day is when the glitz and glamour of racing descend on Wincanton and it is the place to be seen in Somerset this spring, with six great races to add to the excitement. Clarks Village merchandise and vouchers and a hand-held bouquet of Iona White flowers. Spa voucher and a hand-held bouquet of Iona White flowers. A limited edition Cozmo Jenks trilby and a hand-held bouquet of Iona White flowers. Clarks Village goodie bag and vouchers. 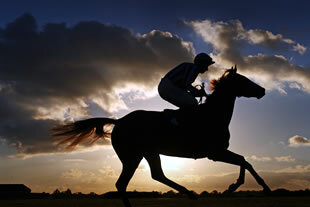 The meeting concludes Wincanton's 2012 - 2013 racing season, with the course returning to action in October.